Buy Online Now! 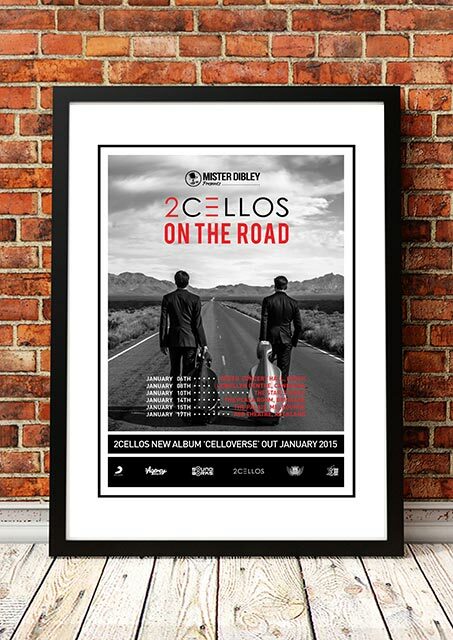 - 2Cellos Rock Concert Posters and Memorabilia. 2Cellos is a Croatian cello duo, consisting of classically trained Luka Šulić and Stjepan Hauser. They have released three albums and play mainly instrumental arrangements of well-known pop and rock songs. The duo perform internationally and have been featured on several US TV shows including Glee and The Bachelor. 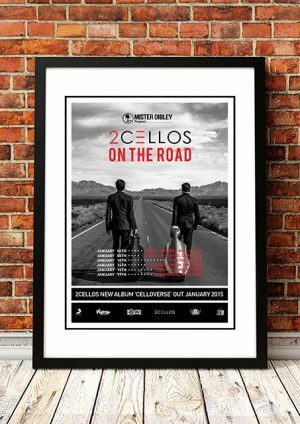 We stock an awesome 2Cellos band concert poster.